Current as of February 23rd, 2018! 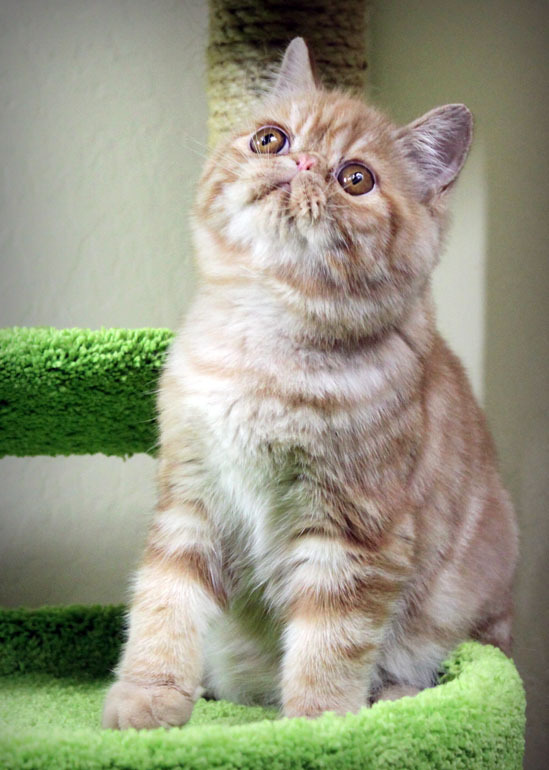 Occasionally we have pet or show quality Exotic and Persian kittens available. Follow me on Facebook (www.facebook.com/MewzNewz) and Twitter @MewzNewz for timely updates, pictures, and newz! You do not need a facebook account to view my page, and I keep it pretty up to date. Please note: Working with these kitties is my hobby, not an income generator. I do not always have kittens available when families inquire, because I only produce a few select litters each year. 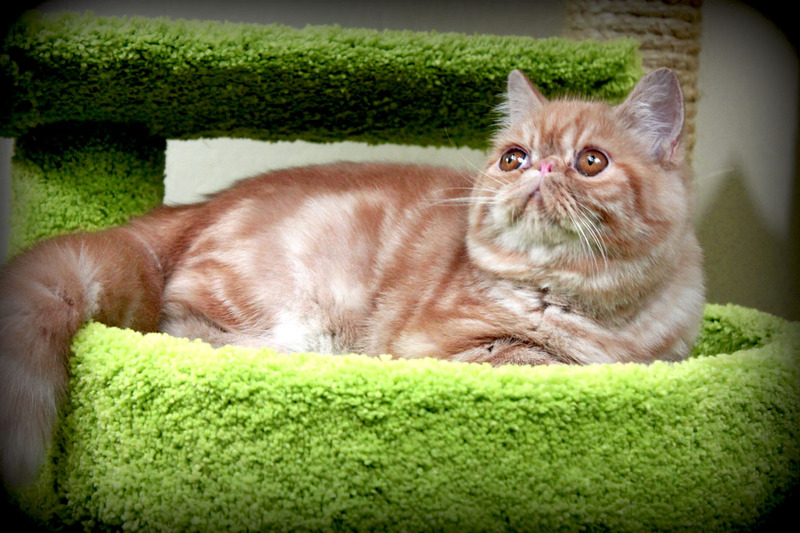 Every breeding is planned with the hopes of improving my lines and meeting breed standards. I do not breed pet quality parents for pet sales, but I do place high quality kittens in to pet homes. We are worth the wait! =^..^= More info at bottom of this page! If you are interested in becoming a Mewz kitten family, please take a few minutes and read my Prospective Parent Information. Please also see NOTES at bottom of page! 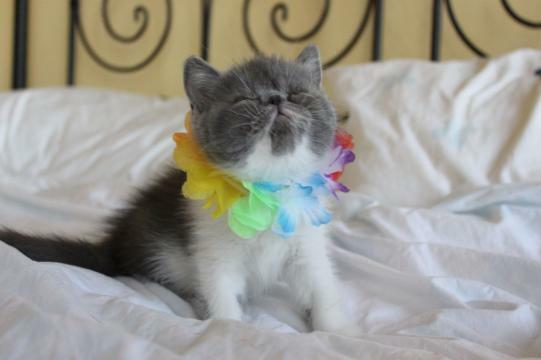 No Available Kittens at this time! - email me! I do have some beautiful young adults I will be placing. Click >>HERE<< to visit them! Click on colored text below to be taken to that kitty's personal page! 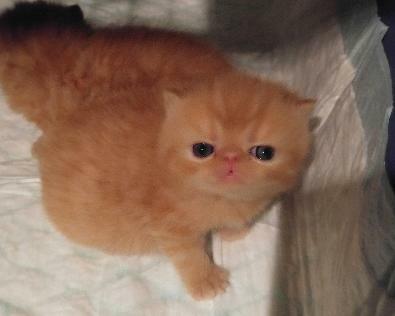 I do have some deposits waiting on these kittens - they will have first choice as they get a little older. Petcube play sessions are available starting Dec. 14!! Kitten #1 - Crispin Red Tabby ESH Boy. REALLY looks like Mr. C from last fall - we call him his doppelganger : ) Very friendly, pretty high energy, affectionate. Show potential. 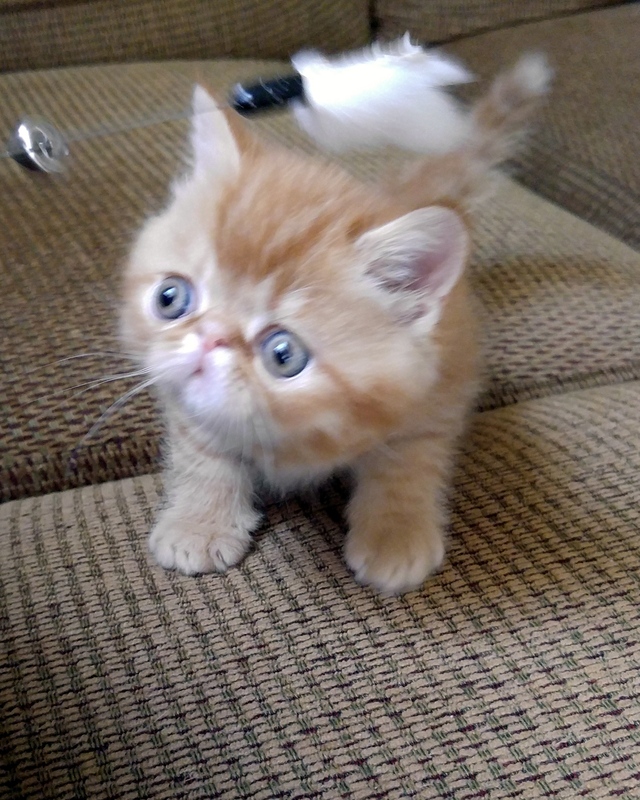 Kitten #2 - ButterNut SQUASHY Red Tabby ESH Boy. SUPER affectionate, but also loves to PLAY. Purr never stops! 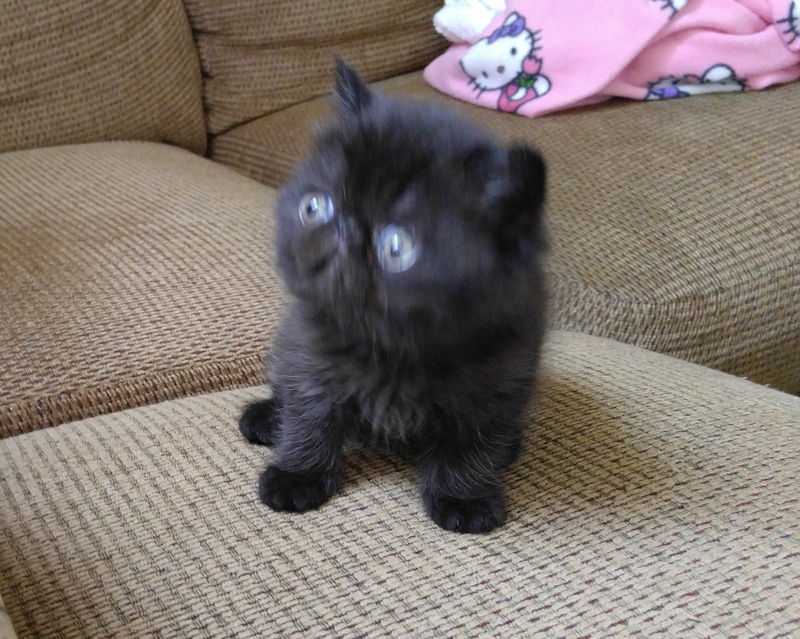 Kitten #3 - Pepper Solid Black ESH Boy - show quality! Pretty and playful - he is smaller than the two reds. Kitten #1 - (Silas) Cameo Classic Tabby, ESH Boy. Loves attention and playing, purrs a lot, talks a bit : ) Really sweet, REALLY affectionate! GORGEOUS coloring - better than pics show! Kitten #2 - (Sierra) [Placed!] Congrats, Ava! :) Black Silver Tabby ESH Girl. Very sweet, craves attention. Less extreme than most of my kitties. Kitten #3 - (Sybil) [Placed.] Black Classic Silver Tabby and White ELH Girl. Possibly show quality. VERY pretty, VERY opinionated : ) Loves attention, and food! 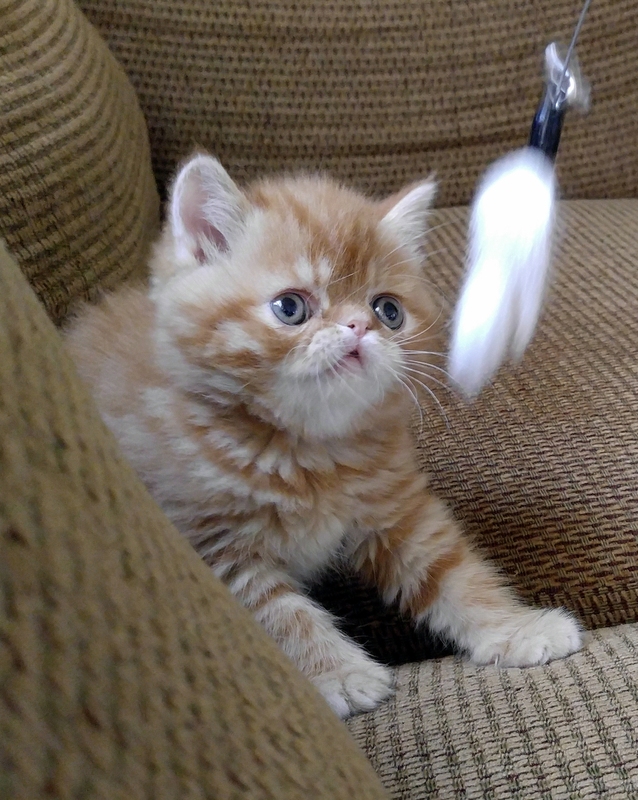 Kitten #1 - (Bing!) Red tabby. ESH Boy. Very nice quality. 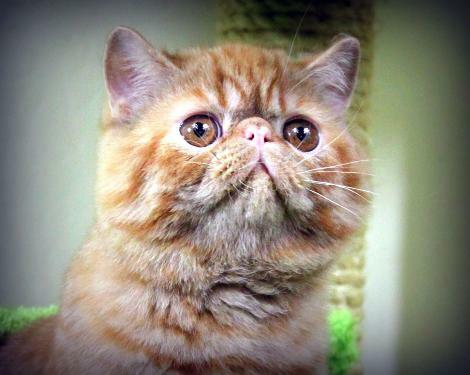 This guy is so cute, and always looking for excitement : ) He is VERY affectionate. 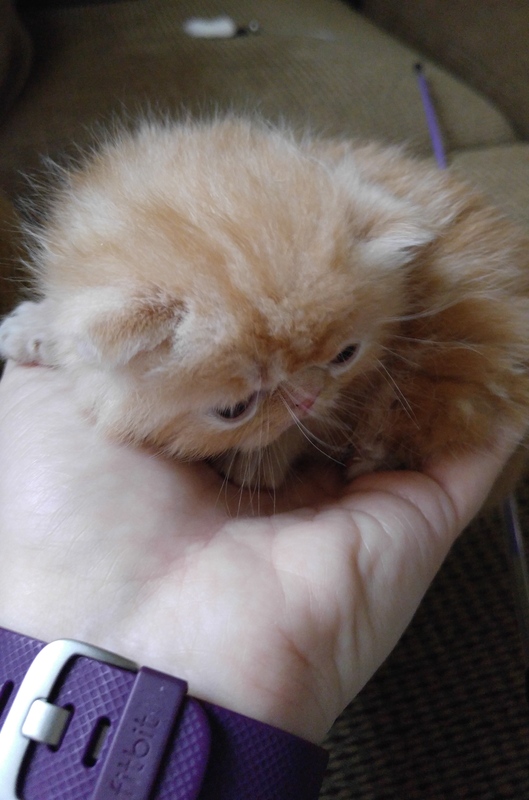 Kitten #2 - (Google!) Red ESH Boy. Very petite! Loves to play! Always purring! Very bold personality. Schedule coming soon, can also arrange private sessions if you are interested in a couple of particular kitties! NOTES: Like most good breeders, I reserve the right of refusal for the sale of any cat or kitten, at any time and without explanation, prior to delivery. If a deposit has been paid it will be immediately refunded and the contract cancelled without further obligation to the buyer. Health is important to us! 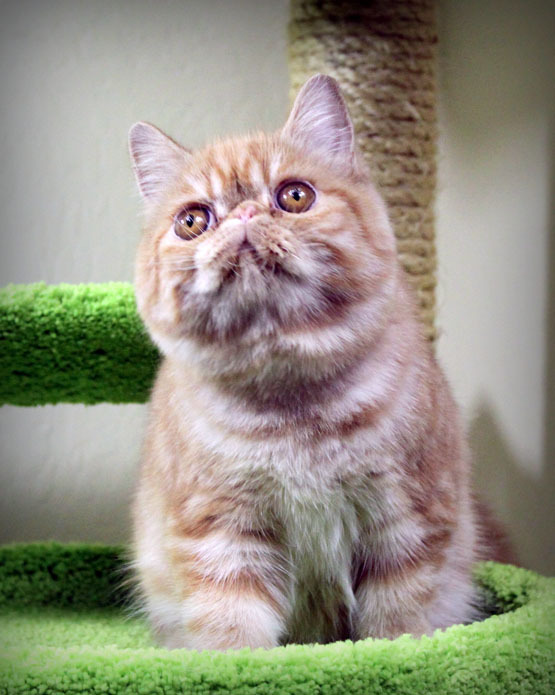 We only breed PKD, FIV/FelV negative cats. My kitties are free of mites, ringworm, and fleas, and are raised in a clean, home environment. All kittens are sold with a contract. Prices will vary depending on quality of kitten and terms of contract. I do not sell pet quality kittens with breeding rights, but I frequently place show quality kittens into pet homes. We spay/neuter our kittens before they go home unless we have a written agreement not to. Kittens are not ready for new homes until they are usually a minimum of 12 weeks old. 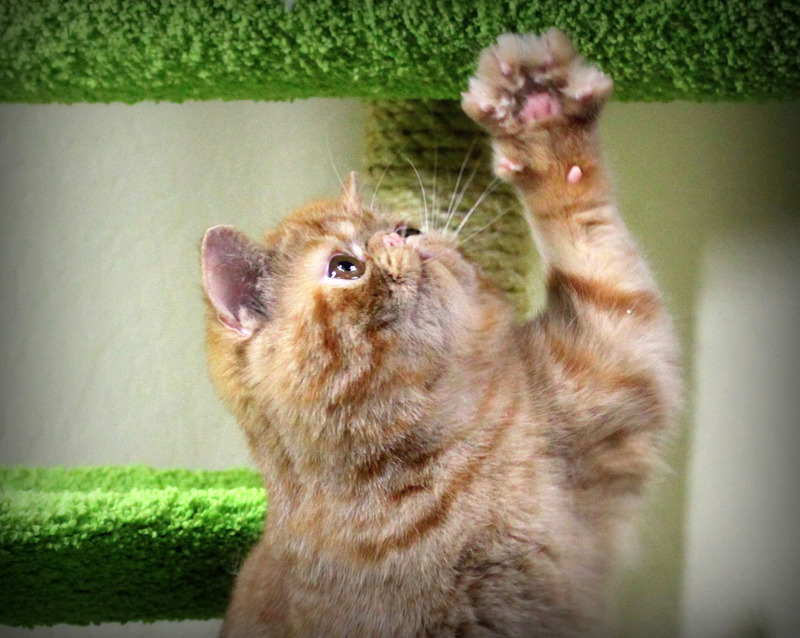 Some kittens mature more slowly, and none will be placed until they are developmentally ready - physically and emotionally. 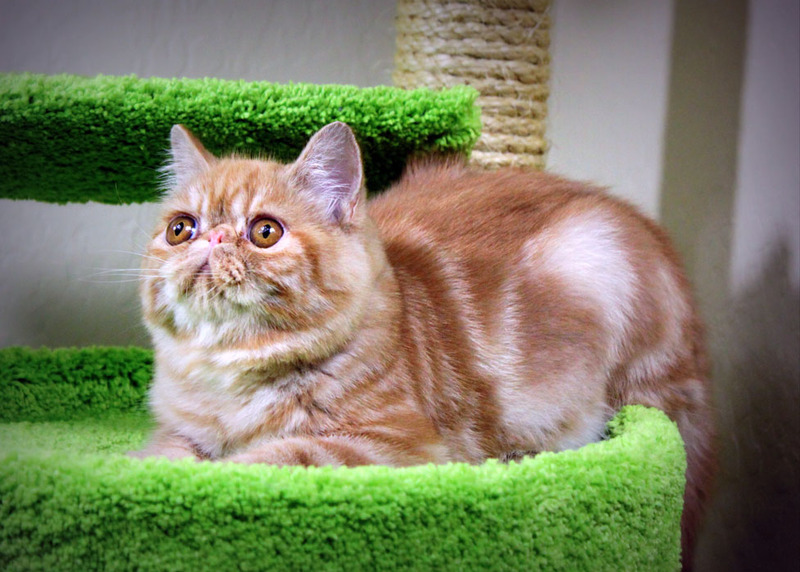 Pet longhair kittens typically start at about $1000+, shorthair kittens run higher. Premiership, show, and breeding contracts vary greatly. Kittens come to you vaccinated, microchipped, with a health guarantee, and are very well socialized – and used to bathing, grooming, etc. 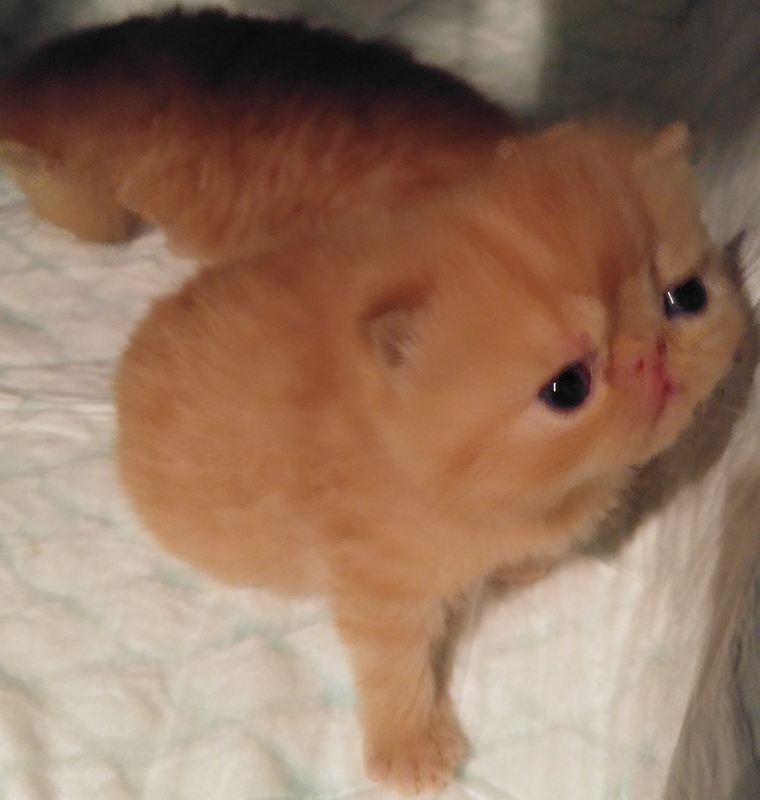 To see 2015's litters, click >>here<<! To see 2014's litters, click >>here<<! To see 2013's litters, click >>here<<! See more of the quality and type we are producing here at Mewz by clicking >>here<<!